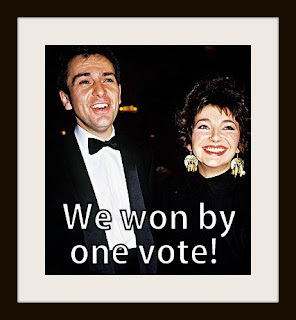 Cherdo on the Flipside: BOTB Results: "Don't Give Up"
Battle of the Bands: Peter Gabriel and Kate Bush win, but only by one vote. Sooo close, but I can't help in this case. As much as I want to throw my vote on John Legend and Pink, I have oldschool loyalty (or bad habits). On the BOTB, Cherdo fails miserably this month. Listening: check! Voting: Nada! My brilliant plan to listen to all on my phone and then go back and vote for my picks might have been a genius way to manage all the things that are happening this week (A-to-Z, work, have to find a house, end of year class stuff, meetings...my head hurts) if I noted that today was the 21st...not the 20th. Whoops. Oh my. I think something is seriously wrong here. I do believe I voted for the winner in this battle. This might be a first on your page. Full moon? What happened???????????????? I missed the voting on this one, but they would have won by two had I voted! It's good to see my vote counted for the win. I see a number of people close their votes on the 20th. I like to close it on the 21st, so I give people a full week. It's part of my eccentricity. Have to post in 7s. 1, 8, 15, 22. LOL My head is messed up. DOC, somebody (perhaps Jeffy) suggested putting 'BOTB' on "Pause" during the month of April next year. I think that's a good idea, what with 'A To Z' being an every day thing, it's just too much blogging activity for anyone who has one iota of life outside of the Blogosphere. See my vote counted! Fun battle!